The remaining two of the big three neonicotinoid insecticides will be phased out of nearly all on-farm use in Canada in the next few years under a proposal from Health Canada’s Pest Management Regulatory Agency. PMRA officials on Wednesday announced 90-day consultation periods on its decisions for both clothianidin and thiamethoxam, following “special reviews” which found both substances being measured at levels harmful to aquatic insects. Clothianidin, under its current conditional registration, is marketed by Bayer in Canada as insecticides and seed treatments under brand names including Poncho, Prosper, Titan and Sepresto and by Nufarm as NipsIt. Thiamethoxam’s conditional registration covers products such as Cruiser and Helix, marketed by Syngenta. PMRA proposes to cancel all outdoor agricultural and turf uses for clothianidin, and all outdoor (non-greenhouse) agricultural and ornamental uses for thiamethoxam, over three to five years, depending on availability of alternatives. Scott Kirby, director general of PMRA’s environmental assessment directorate, said on a conference call with reporters Wednesday that most affected products would be phased out over the shorter period as alternatives are available. Special reviews for both neonics were announced in November 2016 in the wake of PMRA’s routine re-evaluation of the third major neonic, imidacloprid, sold mainly by Bayer under brands such as Admire, Gaucho, Concept and Intercept. 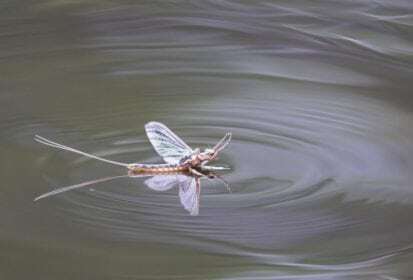 Through that re-evaluation, Health Canada said it found imidacloprid being measured at levels harmful to certain aquatic insect populations such as mayflies and midges — a “critical food source” for fish, birds and other animals. The department thus proposed to phase out most uses of imidacloprid over three to five years. Modelling results from a risk assessment for thiamethoxam showed a “minimal acute risk to freshwater invertebrates” but found exposure on a “chronic basis” poses a risk to those species, Health Canada said. PMRA had proposed in late 2017 to grant three-year extensions to the registrations for both products, pending the outcome of the special review, while also phasing out certain specific uses of the products to reduce risk to pollinators. Final decisions relating to the pollinator evaluation are expected at the end of this year, Kirby said. Grain Growers of Canada, in a separate statement Wednesday, said it plans to further review PMRA’s proposed decisions. Meanwhile, GGC president Jeff Nielsen said, the group is concerned that PMRA’s re-evaluation process “is focused on publishing proposed decisions as fast as possible,” which appears to limit the agency’s ability to ensure “all relevant information” is available. Both products “are very important for our growers, and without viable alternatives, the ban will significantly impact the canola sector,” Brian Innes, vice-president of public affairs for the Canola Council of Canada, said in a separate release. The council, which said it will also “thoroughly review” the PMRA proposal, on Wednesday cited a 2017 study of European growers’ experience without neonics, showing increased risk of insect damage, lower yields and, as a result, fewer canola acres. “With more than 22 million acres of canola in Canada in 2018, banning these plant protection tools would have a dramatic impact,” the council said.